Freebets, bonuses, no deposit bonuses, match bets… It can all get a little mind boggling but in reality it’s pretty self explanatory. Dependent on your country of origin there will be countless bookmakers offering a swag of freebet offers, generally coming in the form of match deposit bonuses. This table displays the best of the best and also whether you are eligible to sign-up at the betting site from your country. Further down the page you can read read about the intricacies of freebets and their wagering requirements. CupsBetting takes great pride in only recommending bookmakers and sportsbooks we personally wager at. Australians are some of the biggest punters in the world and the amount of bookies based here reflects this. With over 10 major corporate bookmakers operating down under there is a growing battle to lure bettors and a large part of this is through bookmaker bonuses. Aussies will pretty much bet on anything from racing through to a multitude of sports such as AFL, NRL, cricket and soccer. Essentially, irregardless of what it is, if there is a market, you can bet your last dollar on the fact that Australian punters will be all over it. The biggest thing Aussies bet on is racing, with over $22 billion wagering dollars invested during the 2013-2014 financial year. Of the three racing codes, thoroughbred racing is by far the most popular with just over $16.5 billion bet on the sport of kings, followed by greyhound racing ($3.1 billion) and harness racing ($2.4 billion). In addition to this, over $4.5 billion was also bet on sports wagering – encompassing sports such as Australian Rules, Rugby League, Rugby Union, Baseball, Boxing, Cricket, Darts, Golf, Hockey, motor sports, soccer, tennis and much more. No matter what you want to bet on, there are plenty of online bookmakers offering some fantastic sign-up deals. Many of our recommended bookies will match your initial deposit dollar for dollar up to a pre-determined amount, effectively doubling your money to play around with before you have even had your first bet. This extra cash can then be used to place on a sporting or racing event of your choice, giving you a multitude of opportunities to win big. There are people all over the world who want to have a bet, many of whom come from the United Kingdom. Across the UK and Ireland one of the most popular types of events to wager on is racing, with flagship events such as the Royal Ascot Carnival in June stealing the limelight and commanding attention right around the globe. In addition to this, popular sports for English punters to bet on include cricket and soccer, both of which have huge fan bases with plenty of people willing to open their wallets and wager on the results. Bet365, one of the world’s leading online bookies, is based in the UK and offers betting on virtually any type of racing and sporting event imaginable. Other notable bookmakers to bet with include William Hill and 10bet. These three recommended bookmakers used to offer very generous sign-up bonuses but UK gambling has changed significantly and free bets and bonuses are highly regulated and scrutinised. For a country that doesn’t condone online gambling, the USA sure does a lot of it with thousands of Americans wagering from their on homes each day. While it is wildly popular, there are tight restrictions across the US for online gambling and, because it isn’t fully regulated, most gambling sites that accept American punters are located off shore. These sportsbooks are set up in a location where online gambling is allowed but falls outside of US jurisdictions and for this reason it can be hard to find a reputable online bookie when you live in America. 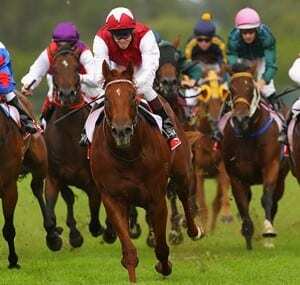 Racing is a very popular sport for people in the USA to bet on – with feature events such as the Kentucky Derby and the Belmont Stakes always attracting plenty of betting activity. On top of this, Americans also go mad for sports such as basketball (NBA) and football (NFL). NFL is by far the most popular sport for Americans to bet on, with College Football always attracting attention, while there is no bigger sporting event in the US than the Superbowl. No matter what sport you choose to have a wager on, there are always a range of markets to chose from including head to head, total match points and first point scorer. Two of our recommended online bookmakers for US punters are Bovada and BetOnline. Bovada, which accepts American customers from across the entire country excluding New York, Maryland and Washington State, matches 50% of your first deposit bonus up to the sum of $250. Alternatively, BetOnline will give you 25% of your deposit up to a staggering $1000, with both sportsbooks allowing you to bet on a range of markets including sports, casino, poker and racing. While they offer excellent value, bookmakers have strict regulations placed on their free bet bonuses to stop us punters taking advantage of them. The first thing you need to know about freebets is that if you win you will only receive your winnings and not the actual stake. So if you bet a $20 bonus amount on a $2.50 chance and its successful you will only receive $30 winnings, not the $20 bonus amount. Probably the biggest hurdle with freebets is being forced to turn the money over. This means you have to bet the money a certain amount of times before you can withdraw it. For instance a bookie might enforce a x 3 wagering requirement. So if you have a bonus amount of $100 and put it on a $4 shot and it wins you would have to make a further $900 worth of wagers before you can withdraw the cash. Another thing to look into before depositing your cash is the eligibility of each offer. Another prime example of this is in Australia with the sign-up bonus not available to customers from New South Wales, South Australia, Western Australia and Victoria. However, in this situation, most bookies will be able to offer you a promotion worth the same amount once you have verified your online betting account, so it can pay to sign-up any way and wait for the freebet offers to be emailed to you. One of the many great things about wagering with online bookies is every now and then they throw a free bet or two your way. Now with so many bookies flooding the internet each is trying to undercut and outdo their competition with a dizzying array of sign up bonuses, free bet offers, cash back offers, special bets, promo codes and improved odds. But what are all the technicalities of free bets and how do they work? First thing’s first. You must be over 18 and have an account with an online bookie to be eligible to receive a free bet in the first place. Also to be eligible, with most online bookies your account has to have received a certain amount worth of deposits, often at least $25. Sign-up bonuses are not available to Australian residents of New South Wales, South Australia, Victoria and Western Australia because of state legislation. Each of these states has very precise gambling laws, so be aware of the laws of your state and always operate within them. When you are credited with a free bet you can’t just withdraw the amount the free bet is worth. No. You have to use it to have a punt first, hence the name a “free bet” not free money. In using your free bet the entirety of it must be used in a single wager. This means if you are credited with a $10 bet you can’t make two $5 bets or five $2 bets. You can only use your free $10 bet as a single $10 bet: all in one hit. If, after placing your free bet, it happens to win, then the amount of the free bet will be deducted from your winnings. For example, say you are gifted a $10 bet and place it on something paying 2/1. If it wins, your total win will be $20, minus the initial free bet of $10, leaving you with a tidy $10 profit. A lot of times free bets have a shelf life too. Check each online bookie and each individual free bet for details on how long each free bet is valid for. Are Free Bets Worth your Time? Of course they are! Ever heard the phrase, “free money is good money”? It is true. The smart punter can use free bets to hone their art and even to inflate their betting account balance when used correctly. Aside from the obvious, free bets can give you the opportunity to be a little more adventurous and extravagant and make a bet you may not otherwise make if you were using your own money. Say you have a good feeling that an absolute smokey is due to come good but don’t want to risk your own money on such a ridiculous punt. Then use your freebie! That way if you lose, it wasn’t your money anyway: no harm no foul. But if you win, well, you will walk away with a profit, literally making something out of nothing. With so many different online bookies flooding the marketplace these days the smart punter has multiple accounts with which to exploit, or take advantage of each bookies’ different bonuses, free bet offers, money back offers, competitions, best odds, special bets and inflated odds on particular events. Online bookies offer free bets to their customers for an array of different reasons. You may be offered one as part of a sign up package, on your birthday or even if your account has been inactive for quite some time and as an inducement to start punting again. So be smart and have multiple betting accounts across a wide array of online bookies and use the competitive beast that is the gambling industry to your advantage. In some countries you will receive a bonus for simply downloading a betting site’s app, or placing a bet via their mobile website for the first time. This is a relatively new idea and came about because of governments stopping other promotions bookies were giving punters. It is definitely worth looking at the sites accepting punters from your jurisdiction and reading their individual reviews to see if they have any specific bonuses relating to mobile.